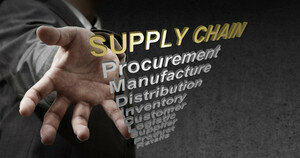 Using the right supply chain management software can help you eliminate all supplier related operational issues. The ideal solution is a supply chain management software that is automated, simplified and centralized. Our software takes charge of the process automatically as soon as the inputs are fed into the system. It is also easy to understand and handle while all information related to suppliers can be accessed from one place. Vendor management involving outputs, intermediary products, and auxiliary services has never been easier. The ultimate goal of our software is to eliminate all risks involved in supply chain management. The built-in applications show Key Performance Indicators (KPIs) that measure how effectively your company has performed in achieving key business objectives. Success can be measured and targets achieved. Reviewing KPIs will help you make better and informed decisions benefiting the overall efficiency of the enterprise. Also, as our solution focuses on eliminating risk and possible disruptions related to supply chain management, a higher Return on Investment (ROI) can be obtained due to reduced production cost. The additional revenue can be devoted to product renovations and overall improvement of the company. We focus on strengthening the relationship with your vendors by having all the vendor details secured and centralized in a single location. It’s not just records of supplier contact information but also audit results, standard certifications and vendor contracts. Our supply chain management software is also capable of automatically notifying you about Non-Conformance Reports and then implementing necessary Corrective Action Requests to enhance the performance of the supply chain management. Moreover, our software reduces the time taken for the procurement process by centralizing all information related to supply chain management. That gives you a favorable advantage over your competitors by lowering the price of your product without tampering with its quality.